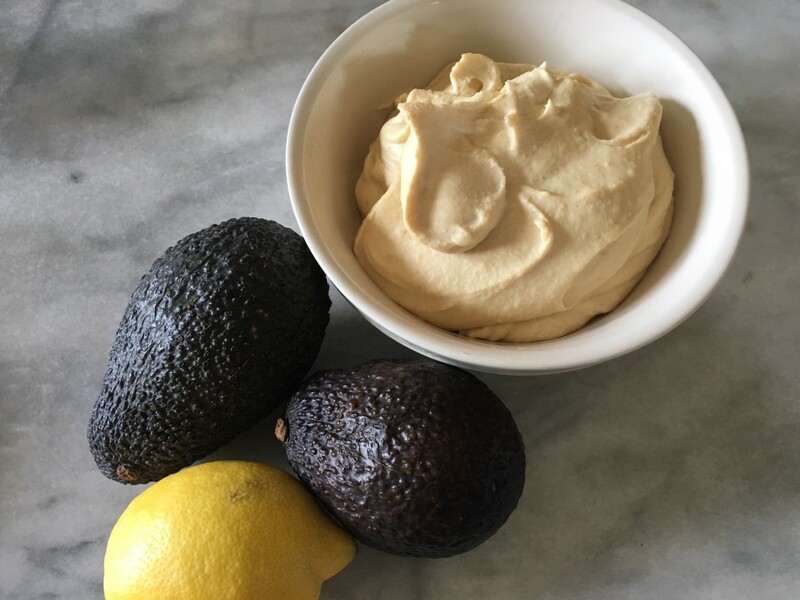 I prefer to make the hummus from scratch as I think many of the commercial varieties are too harshly flavoured-but then I don’t much like a strong garlic flavour in hummus. If you are not bothered about this or you are short of time I think the Sabra brand (Sainsbury and Waitrose) is the nicest on the market. If you make your own hummus remember that the chickpeas need soaking overnight. 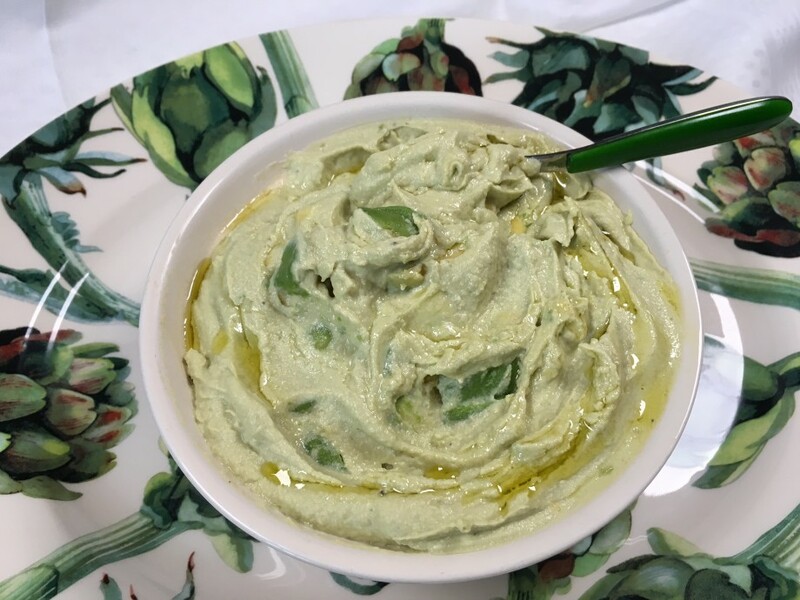 You can serve this hummus as a dip or as an accompaniment to lamb or fish –roasted white fish fillets are best. Make the hummus following the recipe but leaving out the pine nuts and dukkah. 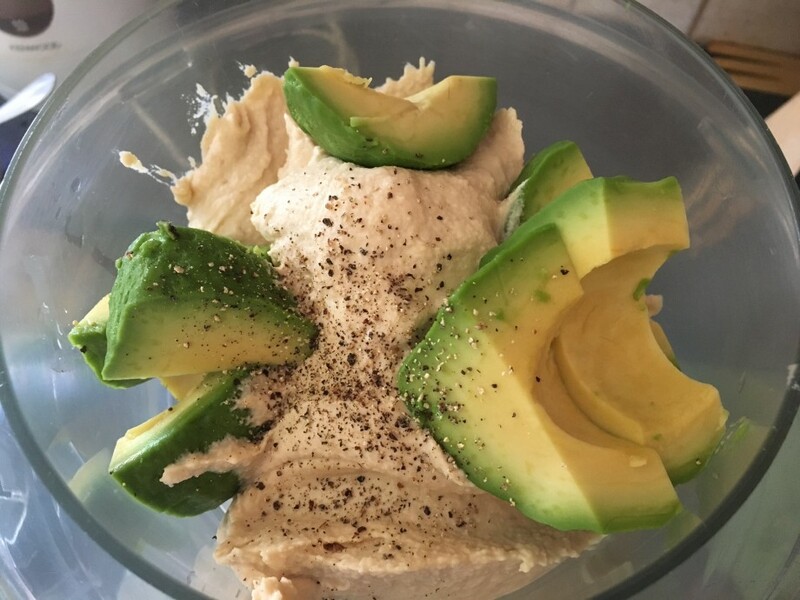 Put the hummus in a food processor and add the flesh of one of the avocadoes. Add a little salt and ground black pepper and blend to a smooth purée. Scrape into a bowl. Chop the flesh of the half avocado and toss with the lemon juice. Fold into the hummus. Drizzle with a little chilli oil.